A nature-photographer's house cat versus the foxes of Kamchatka. More at English Russia. Which one is thinking "dinner?" and which one is thinking "help!"? @Jeff -- I don't think you looked at the rest of the photos. 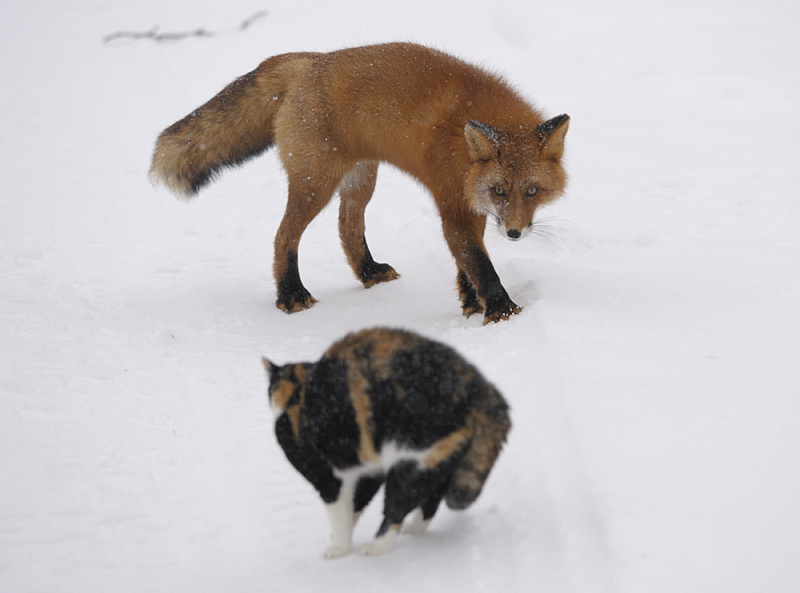 I have this pic as a postcard and the photographer explaines on the back that his cat fought and scared away the foxes..